A year ago this month, a book with my name on it hit the shelves for the first time. Although Smooch & Rose didn’t fly off the shelves like Hillary Clinton’s new book (100 000 copies in the first month), it has done well for a first time author published by a small publishing house in Australia. I thought I’d use this space to reflect on the year gone by, answering 10 questions to explore whether being published has met my expectations. Was seeing ‘Samantha Wheeler’ in print a dream come true? No, it was completely nerve wracking. I’m not being modest. I could hardly bear to open the package when I received my two ‘advance copies ‘. I held them in my hands, but couldn’t open their front covers for about a week. And when I did, it was like every word was wrong. It was as if it hit me for the first time that people, people I didn’t know, would be reading my story. Those nerves (peaking at my book launch) stayed with me for about three months, until I started doing school visits, and saw I wasn’t a fake. Children genuinely loved the story. That’s when I relaxed and finally allowed myself to feel proud of my very first book. What has been the biggest joy? Connecting with readers. I’ve met lots of passionate kids, some barely older than seven, who, declaring Smooch & Rose their favourite book, plan to be wildlife carers when they grow up. 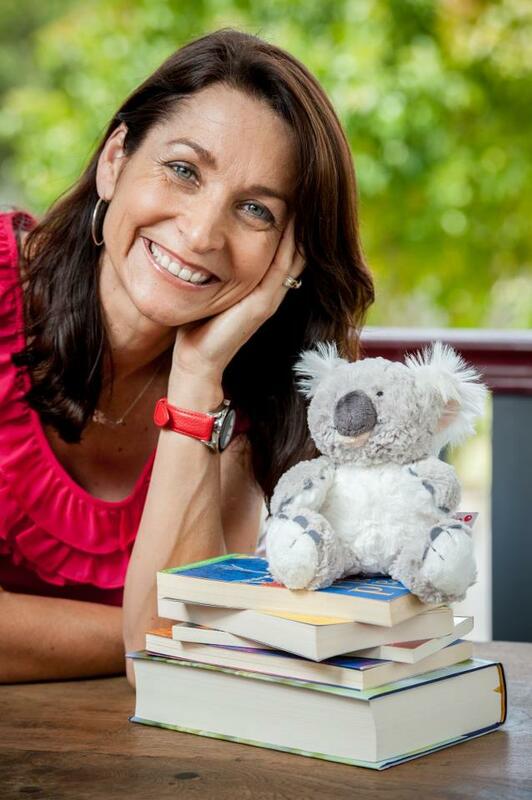 I’ve heard of fridges with Save the Koala posters, schools doing fundraisers for koalas, and I’ve met many kids who love to write, inspired by the great books out there. What has been the biggest frustration? Probably the difficulty in getting local books into bookstores. Walking into a QBD or an Angus and Roberston with a huge stand of Enid Blyton books, (who’s fabulous, don’t get me wrong), when there are so many great Australian writers not on the shelves. What’s been the hardest thing? Not comparing myself to others. Facebook in particular makes it hard for anybody these days not to feel inadequate. Some one somewhere is doing it bigger and better. However I’ve got better at travelling my own journey in the last two months, and think this quote helps sum up how I feel. Forget all the rules. Forget about being published. Write for yourself and celebrate writing. Melinda Haynes. And how about reviews? Initially I sweated on a three and a half star rating vs a four star one, and read all sorts of meanings between the lines, but now that I’ve met so many kids that loved Smooch & Rose, I don’t feel so worried about the ratings. The belief in my story has to come from me, not from others. Advice for other writers still hoping to be published? It might sound weird, but my advice would be ‘celebrate the writing.’ The true joy in being a writer is the writing. Being published is just the icing on the top. Was it hard to come up with another story after Smooch & Rose? I’ve always got a million stories zooming around in my mind, and the worst part is trying to get them to wait in line. But settling on the next story to follow Smooch & Rose was difficult. I tried way too hard and completely complicated the story. The editing was huge. My third story was probably easier to write than my second. Has life changed? Yes, I think life has got busier, and I spend more time on my computer, mainly due to edits, website updates, that sort of thing. I probably spend about the same amount of time writing, and thinking about writing as I did before Smooch & Rose. I still find myself avoiding the word ‘author’ when people ask me what I do. Any new skills developed along the way? Thanks to Peter Ball at QWC, I now know what an author platform is, but I’m still no expert. I’ve learnt how to tweet and to load pictures on to Facebook. I’ve also learnt how to be more confident when asking people questions for research. People love the idea of helping when it comes to books. Posted in Life, Reading, Research, Smooch & Rose, Spud & Charli, Wildlife, Writing and tagged author, Editing, nerves, published, Smooch & Rose, writers, Writing. Bookmark the permalink. 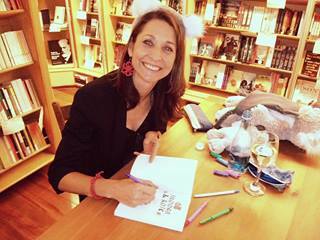 I'm an Australian Children's Author. My first book 'Smooch & Rose', was published by UQP in July 2013. This is my blog for parents, educators and people passionate about nature and wildlife.